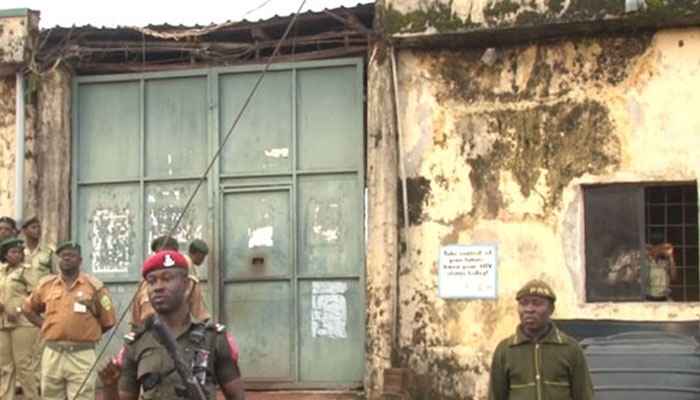 At least 70% of inmates in some prisons in Nigeria are awaiting trial and some stay as long as a decade of waiting time while some also get converted to hardened criminals. One thing that is common in most Nigerian courts is delay in settling some cases that Nigerians see as simple. This situation has left people who do not have any business being in prisons there for years awaiting trial. At least 70% of prisoners in most prisons in Nigeria are awaiting trial, the Minister of Interior, Abdulrahman Dambazau, said months ago. President Muhammadu Buhari is not happy that court cases could drag on for years and sometimes decades without resolution. He wants the Judiciary to address what he called 'huge backlogs of cases' waiting to be dispensed especially at the appellate levels. There are ongoing reforms in the judiciary, but the president wants it to start "at eliminating these seemingly endless delays in settling what to the layman are apparently simple cases". President Buhari made the observation at the 2017 All Nigeria Judges Conference that opened in Abuja on Monday. He added that, "again, litigants expect that higher courts should endeavour to harmonize their rulings. "There are contradictory decisions of superior courts on the same subject matter in cases where facts are substantially the same without a clear attempt in subsequent cases to distinguish the earlier cases. "This lack of clarity leads to serious confusion to the lower courts. "The knock-on efforts of these delays and dis-continuities range from loss of confidence in the judicial system to over-crowding of prisons". President Buhari then tasked the leadership of the judiciary on paying close attention to these challenges in its efforts at reforming the system. He had already written to all state governors, urging them to make special visit to prisons in the company of Chief Judges and release prisoners unnecessarily detained without due process. On his part, the Chief Justice of Nigeria, Justice Walter Onnoghen, told the President that prison congestion was a worrisome phenomenon in the nation’s justice delivery system which he said had become an embarrassment. He also stressed the need for the judiciary to partner with the executive arm of the government to curb this menace. "Again, close supervision, and frequent visits by heads of courts to prisons within their jurisdictions, and synergising with Attorneys General of States are veritable steps to a lasting solution. "In addition, the executive should consider expansion of the present prison facilities to ease the situation," he added. Justice Onnoghen also advocated for full financial independence for the state judiciary so as to continuously strive to achieve their constitutional mandates.